This summer, the CWSC will offer three workshops for graduate students. All three will be facilitated by Dr. Patty Kelly, the Program Manager, and Eury Chang. Thesis and article abstracts play a vital role in the communication of research. Studies show that abstracts are the most frequently read part of a research article, and that abstracts help researchers determine whether or not to read the entire study. But how do writers communicate the relevance and legitimacy of their research to members of the discipline? This workshop introduces researchers to the typical structure of the abstract, while accounting for disciplinary differences. Participants will write or revise an abstract (thesis, dissertation, research article), and receive feedback from the workshop facilitators and other participants. Therefore, this workshop is most useful for those with a research project underway. In 2017, UBC added a lay summary requirement to all theses and dissertations, and more and more academic journals, public policy institutes, and granting agencies require researchers to provide summaries of their studies for non-specialists. But how do experts communicate specialized research to non-specialist audiences? This workshop helps researchers understand how lay summaries differ from abstracts, the multiple purposes of lay summaries, and how lay summaries enhance science communication and increase research visibility. Participants will write or revise a lay summary (thesis, dissertation, research article), and receive feedback from the workshop facilitators and other participants. Therefore, this workshop is most useful for those with a research project underway. Thesis and research article literature reviews accomplish several purposes for scholars. In the introduction, for example, writers review relevant research in order to establish a research gap or knowledge deficit that the current study addresses. But how do writers summarize the scholarly conversation already underway and, then, join that conversation? This workshop introduces researchers to the typical structure of the literature review in thesis and article introductions, while accounting for variation in communicative purposes and disciplinary differences. Participants will write or revise a literature review (thesis, dissertation, research article), and receive feedback from the workshop facilitators and other participants. Therefore, this workshop is most useful for those with a research project underway. The CWSC is pleased to announce the launch of its Graduate Writing Retreat, a three-day event that will be held in the beautiful historic core of UBC’s Irving K. Barber Learning Centre. Any and all graduate writers enrolled at UBC are welcome to register free of charge, whether they plan to work on a research article, a master’s thesis, a doctoral dissertation, or any other piece of writing relevant to their studies. 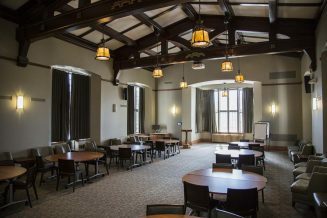 In addition to catered lunch, coffee, and snacks, the GWR will feature a number of pedagogical supports, including an opening panel discussion between faculty, staff, and graduate students across the disciplines; writing consultations with CWSC staff and trained doctoral-student consultants; and self-reflexive writing practices such as goal-setting and reflection. Most of all, the event offers a chance to write extensively in a relaxing, contemplative, and collegial setting. Please check back for more information and for registration details. Research shows that graduate students benefit from regular participation in a writing community. Writing communities help graduate students establish an individual, regular writing practice in a collaborative, supportive environment. Join fellow graduate students writing their theses, dissertations, and research articles for 2 hours of uninterrupted writing time. Graduate Student Writing Communities are most beneficial if you commit to participating regularly and are able to attend the weekly meetings for the duration of the term. This summer's community facilitator will be Eury Chang.